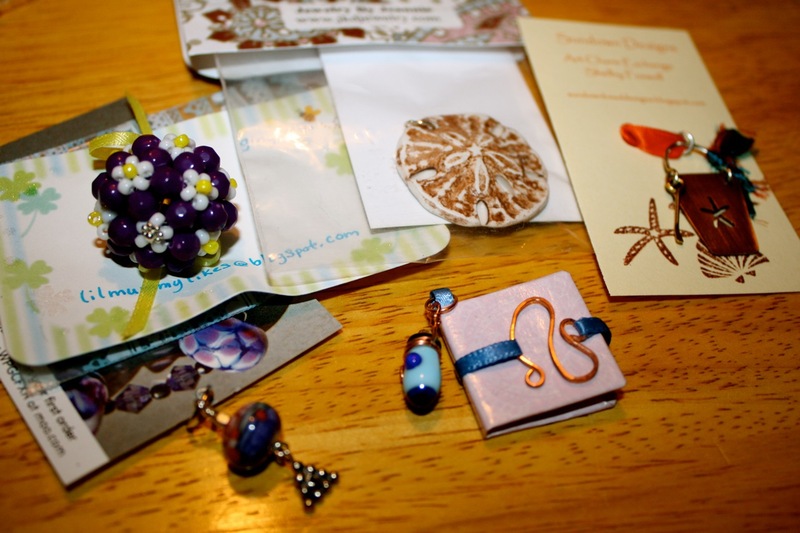 A few months back I signed up to be a part of an Art Charm swap. I had to make eleven charms, ship them off to the coordinator, Jennifer, and a few weeks later I would receive a package of art charms in exchange. One charm was kept for an auction for Beads of Courage. BOC of an organization that provides beads for children that are going through medical treatments for serious illnesses. Go to their website to read all about the wonderful things they do. One of the eleven beads that I sent in was kept to be auctioned for them. You can visit the auction here and have some fun bidding! Also, please make sure to visit Jennifer’s blog, the lady who organized this swap, to see a list of all the bloggers that participated. I have also provided a list below. Here are the charms that I made. The theme was *Laughter*. I chose the phrase, “Happy Place” because if you can’t laugh in your happy place then you cant laugh anywhere!! I made the charms with steel wire, resin and paper. The paper is completely covered in resin, so it is well protected. The above and below photos are the wonderful charms I received. While I waited for my charms to arrive, I wondered what I would do with them. So this week I made this charm bracelet to add them to. I hand forged and soldered each link from fine silver. I have already added a few charms I have recently made and look forward to filling it up with my Art Charm Swap charms as well as other beads and charms I make or receive in the future. Yes a happy place is always a fun place to be!! Love your bracelet too! 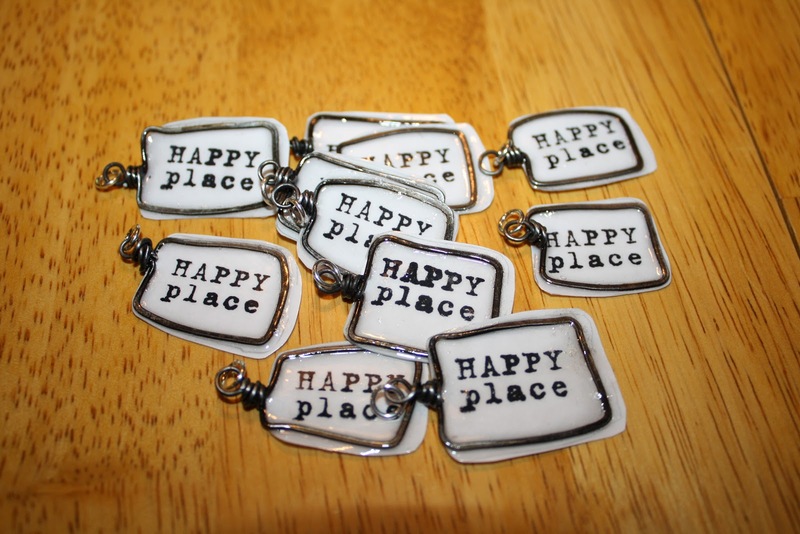 I just love your Happy Place charms! They do bring laughter to mind. I love the concept of having a happy place,Kimberly. Your charm reminds me that we can all go there if we just believe! Wow!! I love your charms!!! We all need our Happy Place!!! I received one your charms, and it was a perfect fit for a small project I've been working on! I'll post a pic to you when it's done. : ) Thanks! Love your happy place . 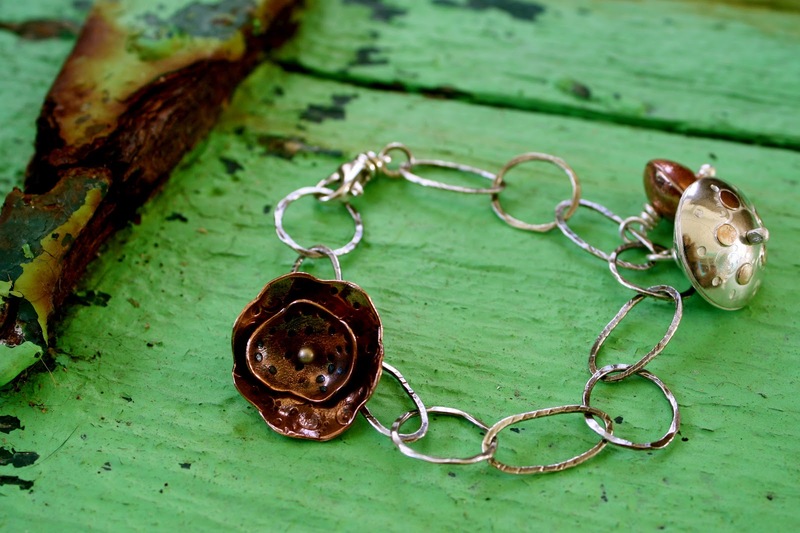 . . and that you already have a bracelet for your charms – jealous! Your charm bracelet looks great. What fun! Wonderful charms! Love seeing what everyone created!